The Incomparable, Invincible, Unbeatable Cigar! 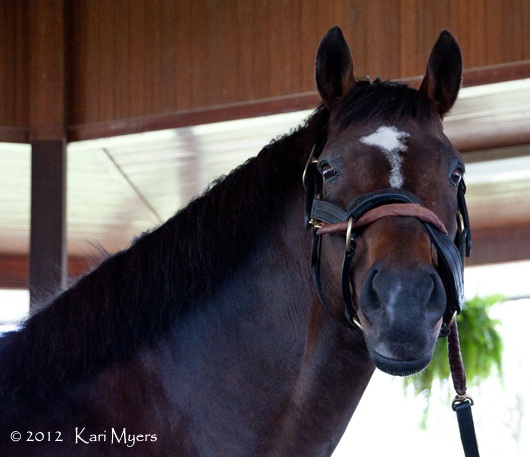 May 2, 2012: Cigar enjoys some paddock time at the Kentucky Horse Park. 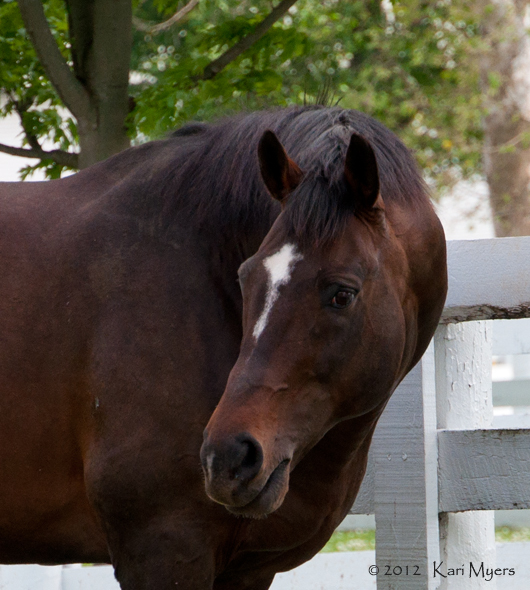 The Kentucky Horse Park in Lexington, KY is home to tons of beautiful horses of all breeds, shapes, and sizes. The park’s Hall of Champions is a destination in itself, and is exactly what the name implies. It’s a barn full of amazing horses that excelled at their particular disciplines throughout the last two decades. Amid Kentucky Derby winners and other champions, the current king of the barn is Cigar, pictured here at age 22. A son of Palace Music out of the Seattle Slew mare Solar Slew, Cigar raced 33 times with 19 wins during his stellar campaigns in the mid 90s. Cigar began his career on the turf, but only won 2 of his first 13 races. Trainer Bill Mott switched him to dirt for his 14th race, and the rest is history. With the change in surfaces, Cigar ran his win streak to what was at that time a record-tying 16 races in a row. He was retired at the end of 1996 after a close 3rd place finish in the Breeders’ Cup Classic, a race he’d won the year before. Cigar retired at age 6 with record North American earnings of $9,999,815, which was not eclipsed until Curlin broke the $10 million mark in 2008. He won 12 Grade 1 races, including the inaugural Dubai World Cup (the world’s richest race), and was voted Horse of the Year and Older Male in both 1995 and 1996. The superlatives could go on for pages, so I’ll just stop myself now! Stud plans at Coolmore were stopped in their tracks, as Cigar proved to be completely infertile. It was a blow to the racing and breeding world, but a boon to his fans because he was allowed to retire to a public place where he can be viewed as much as we like. Admission to the Kentucky Horse Park gives you access to the Hall of Champions and the shows they do each day. You never know how long these guys will be around, so go see Cigar if you’re ever in the area. You won’t regret it! May 2, 2012: Cigar certainly still knows where the camera is! The Hall of Champions show is a fantastic way to get a good look at him.